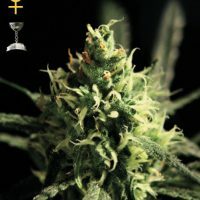 Big Buddha Seeds Silver Cheese female Seeds produce a Medium sized cannabis plant with a High (15-20%) THC content, Photoperiod genetics and a flowering time of 9-11 Weeks. 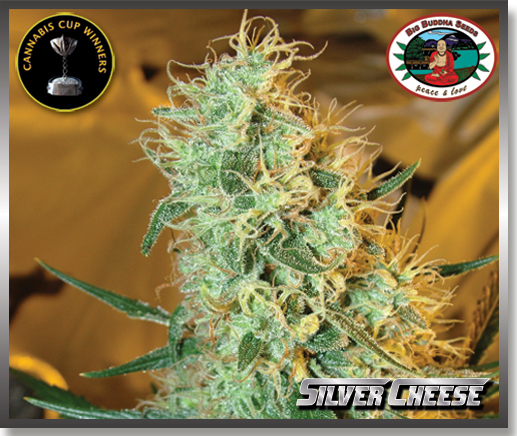 Silver Cheese female Seeds has a genetic makeup of Super Silver Haze X Big Buddha Cheese (Reversed) and can produce incredible yields. 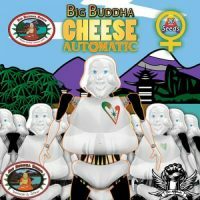 Buy Big Buddha Seeds Silver Cheese female Seeds at the lowest price online now! 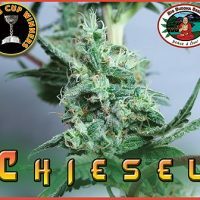 Big Buddha Seeds latest hybrid an award winning combination of 2 magnificent champions, the Super Silver Haze and Big Buddha’s favourite daughter -the ‘original’ Big Buddha Cheese. This award winning combination has been in the pipeline for years but finally, after a lot of extensive research, they have found our selected clone which they felt suitable to be named the ‘Silver Cheese’! Expect a ‘melee’ of mouth watering flavours. 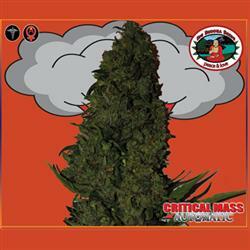 The sweetness of the Super Silver Haze mixed with a pungent goodness of Cheese brings a long lasting effect – waves. 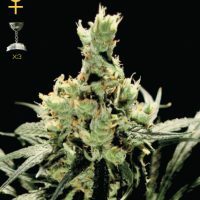 Silver Cheese will please you with fast hybrid growth and finishes with a true top shelf final product.